1 Person. Sub 2 Pounds. 3 Seasons. How do you shave 12 ounces off an already light tent? Innovation and purpose driven design. 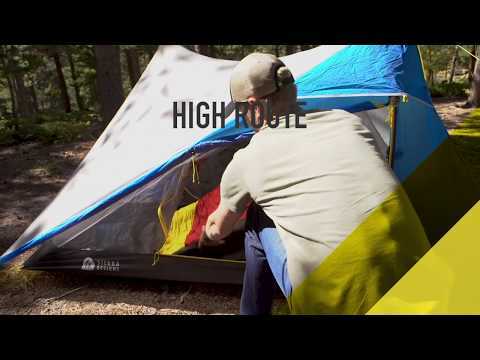 Designed as an incredibly versatile year-round hiking shelter, the High Route is a 31 ounce ultralight shelter that utilizes trekking poles. With a laundry list of features for its weight and size, the High Route lets you travel light without worry.